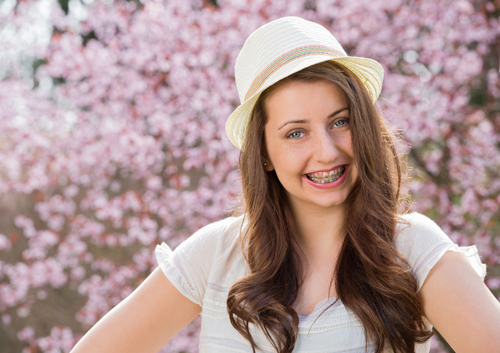 Dr. Sarah Soltys Larson and our staff offer rubber bands for braces in a wide range of colors. Choose your favorite color and wear it with pride. You can mix and match your colors too. For Valentine’s Day, try alternating red and pink bands. For the Fourth of July, use red, white, and blue! If you have a significant amount of metal in your braces, try to avoid close-ups with flash. The flash can reflect off the metal. The important thing to remember is how good your teeth will look and feel once your orthodontic work is complete. Dr. Sarah Soltys Larson and our staff can also show you options for braces that are not as visible as the traditional style.